기사요약: 지난 28일 한 일간지가 박근혜 대통령의 측근으로 알려진 정윤회 씨에 대한 청와대의 ‘동향 감찰 보고서’를 입수했다며 공개해 논란을 일으켰다. 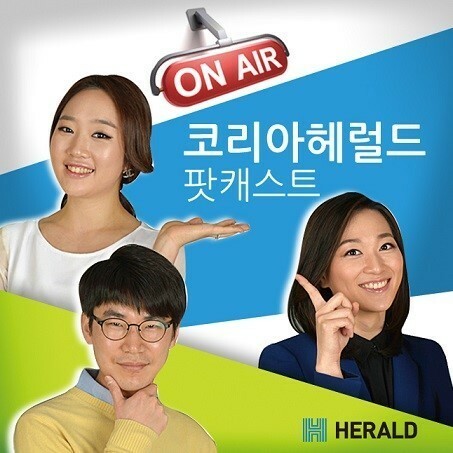 문건에는 정씨가 이재만 총무비서관, 정호성 제1부속비서관, 안봉근 제2부속비서관 등 이른바 ‘문고리 권력 3인방’과 정기적으로 만나 청와대 내부 사정 및 인사 문제를 논의했다는 내용이 포함돼 있다. 이에 청와대는 이 문건이 감찰 보고서가 아니라 증권가 정보지에 나오는 풍문을 취합한 동향 보고 수준의 문건에 불과하다고 반박했다. 검찰은 문건 유출 사건과 관련해 본격 수사에 들어갔다. The scandal centered on Chung Yoon-hoi continues to expand and threatens to bring rival parties to a headlong clash, but little is known about the man himself. It has been alleged that Chung is at the core of an unofficial group of advisors to President Park Geun-hye, and that he has colluded with three presidential secretaries on a regular basis to exchange classified information on her state management. Chung and his supposed collaborators are also alleged to have tried to pull strings to replace Chief of Staff Kim Ki-choon and officials in other top positions. The little that is known about the man serves only to paint a sketchy picture of his relationship with the president, and raises even more speculations. 기사요약: 비무장 흑인 청년에게 총격을 가해 사살한 백인 경관의 불기소 방침에 대한 반발로 미국 퍼거슨내 소요사태가 3개월 이상 지속되고 있는 가운데 지난달 30일 퍼거슨 시장이 흑인 경관의 비중을 높일 것이라고 밝혔다. 이 같은 조치에도 흑인들의 분노는 수그러들지 않는 모습이다. 지역 언론들은 전날 밤 100여 명의 시위대가 윌슨 경관을 불기소 처분한 데 항의하는 시위를 벌였고 몇몇 시위대는 미국 국기를 불태우기도 했다고 보도했다. The mayor of the U.S. city at the center of a deadly police shooting that sparked repeated nights of racially charged unrest pledged Sunday to rebuild. Looting erupted and businesses were set ablaze in the St. Louis suburb of Ferguson after a grand jury on Nov. 24 said white police officer Darren Wilson would face no criminal case in the shooting of 18-year-old Michael Brown, who was black. The decision not to charge Wilson in connection with the Aug. 9 shooting of Brown touched off days of sporadic violence in Ferguson, as well as demonstrations in several major cities across the United States. Ferguson was also hit by violent unrest in the weeks after the shooting. 기사요약: 해외직구가 돌풍을 일으키고 있다. 해외직구란 해외에서 파는 제품을 국내에서 공식수입업자를 거치지 않고 직접 구매하는 것을 뜻한다. 국내 정식수입업자보다 훨씬 싼 가격에 구입이 가능한 것으로 알려지면서 점점 많은 국내 소비자들이 해외 구매 사이트를 찾고 있다. Forget city traffic and the shortage of parking spaces in shopping areas. More South Koreans are shopping on overseas e-commerce sites, with products ranging from simple fashion items to appliances. The so-called “jikgu-jok” — a tribe of shoppers buying goods directly on foreign websites — is growing rapidly here, as more people seek to dodge local retailers’ high markups on imported goods and have a wider range of choice. Jikgu-jok calls themselves “smart consumers.” They claim they pay less for the same products by logging on to the sites of U.S. shopping malls.